We have something for everyone. Check our wide selection of merchandise, brewing devices, gift certificates, etc. Give your coffee lovin' special someone the perfect gift. Let them choose which coffee to sip and enjoy the whole year round. 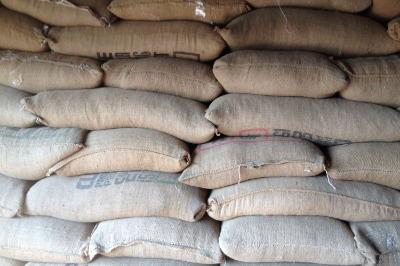 Join our COFFEE CLUB, where you can receive monthly shipments -- a different coffee each month! Makes a great gift or a special indulgence for your yourself! Have you seen people around town wearing cool Vienna Coffee Company gear and want to know where you can get one for you yourself? We can hook you up. Vienna Coffee Company has a wide selection of different apparel, mugs, bags, etc. Check it out! 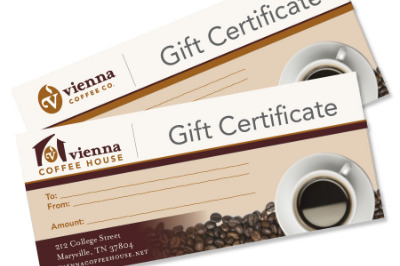 Vienna Coffee is proud to supply to you some of the best quality and priced coffee and espresso equipment in the market today. We pride ourselves over looking for the best quality for the best price that the industry has to offer. From home to cafe use, we have what you need. Please feel free to browse our offerings and don't hesitate to call us with any questions or if you want more details. Call us to create a customizable gift basket. We can add Vienna Coffee Company coffee, Harney & Sons tea, Nonni biscotti, chocolate spoons, etc. Each basket is wrapped in clear decorated cellophane gift wrap. Just call us for more details at (865) 6810517. Price depends on amount of items in baskets.